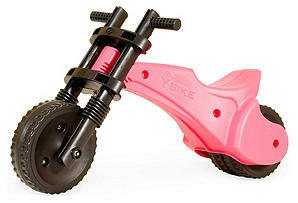 Currently One King's Lane has a fun sale on Ybikes and Ygliders! Each pictured is priced at $55. If you're new to One King's Lane (free to join, just an email required) you'll score an additional $15 off of a $30 purchase on the prices listed, so just $40 each (shipping is $7.95)! These bikes and scooters are reg $55- $70). 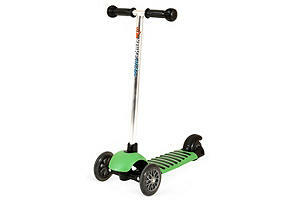 We have the green scooter pictured (several colors are available) and it was by far the favorite outside (and sometimes indoor) toy at our house last summer! Find these fun deals here!